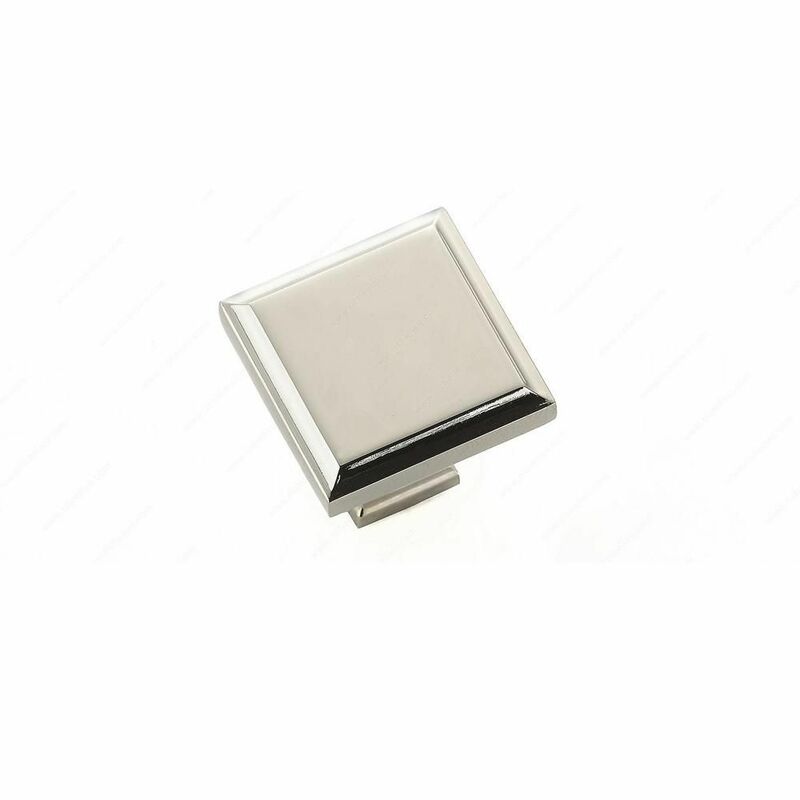 Transitional square knob by Richelieu. Beveled edge and distinctive base lend a touch of elegance to your kitchen and bathroom furniture and cabinets. With its sleek appearance and oval shape, this simple yet classic Richelieu knob is ideal for your furniture and cabinets. Transitional Metal Knob Polished Nickel - Mirabel Collection Transitional square knob by Richelieu. Beveled edge and distinctive base lend a touch of elegance to your kitchen and bathroom furniture and cabinets.